Motor Klassik Awards 2019: Mercedes-Benz right at the top in four categories - The "Ockhuisen" Mercedes-Benz Collection. What a great way to start the classic cars season: Mercedes-Benz wins the prestigious Motor Klassik Award 2019 in no fewer than four categories. Included amongst the top classic cars are the 540 K Special Roadster (classics from the 1920s and 1930s) and the 300 SL “Gullwing” (classics from the 1940s and 1950s). 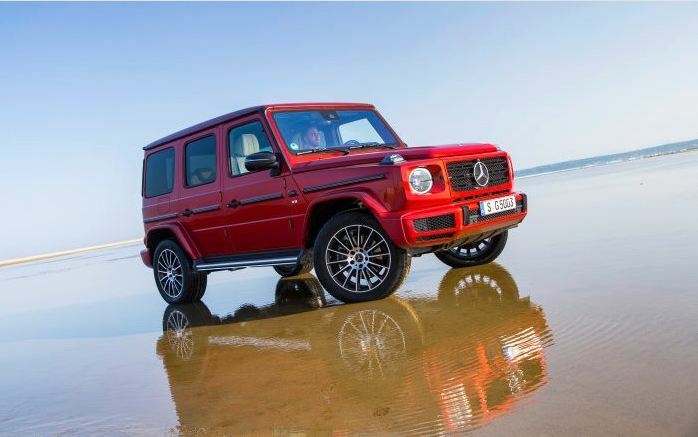 In the category of current SUVs and off-road vehicles, the G-Class is triumphant (combined fuel consumption: 13.1–9 .6 l/100 km; combined CO2 emissions: 299–2 52 g/km*). And in the “Best Brand” category, Mercedes-Benz genuine spare parts takes first place. Stuttgart. “Motor Klassik” readers once again spell good news for Mercedes-Benz: as the brand with the star wins the Motor Klassik Award 2019 in four categories. “Two dream cars, our forever young off-road classic and Mercedes-Benz genuine spare parts take first place: we would like to extend a heartfelt thankyou to the readers of the specialist magazine for this outstanding result,” affirms Christian Boucke, Head of Mercedes-Benz Classic. Mercedes-Benz 540 K Special Roadster. This variant of the “Sindelfingen body” was first introduced in 1934 in the 500 K and remained in the line-up as 540 K from 1936 until 1939. “Power and elegance ─ the last Mercedes-Benz with a supercharger and 180 hp inline eight cylinder was the darling of the rich and beautiful” is how specialist magazine “Motor Klassik” characterises the Mercedes-Benz 540 K Special Roadster (W 29), and the dream car with a breathtakingly elegant variant of the “Sindelfingen body” equally impresses readers at the Motor Klassik Awards 2019. Totalling 39.8 per cent of votes, first place goes to the open vehicle in the “ Classics from the 1920s and 1930s” category – the first time the W 29 has ever led in this category. 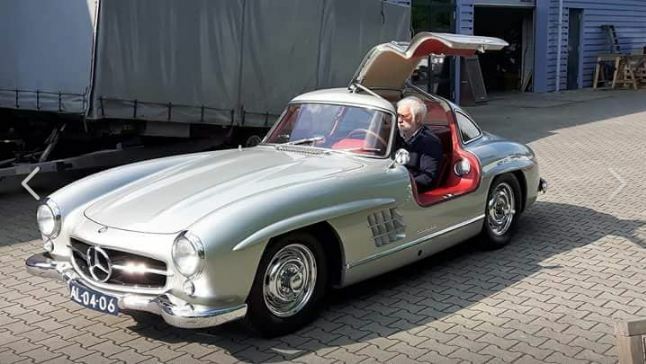 The “ Gullwing” is a serial winner at the Motor Klassik Awards. This time around, it claims 40.8 per cent of votes in the “Classics of the 1940s and 1950s” category, thereby breaking the 40 per cent mark for the first time ever. Since 2012, the 300 SL has been at the top of the readers’ favourites list six times. No wonder: “ Breathtakingly beautiful and extraordinarily fast. The W 198 is a driving superlative of unbroken fascination” are the words “ Motor Klassik” uses to describe the super sports car which was build from 1954 to 1957. Mercedes-Benz G 500 variant of the new G-Class model series 463 (combined fuel consumption: 12.1–11.5 l/100 km; combined CO2 emissions: 276–263 g/km*), hyacinth red metallic, designo nappa leather, platinum white/black. This striking off-road vehicle from the brand with the star proves that a classic can also be quite young. A whopping 54.1 per cent – significantly more than half of the readers – give first place in the “Cars 2019 – SUVs & Off-Roaders” category to the new 2018 G-Class. The silhouette of the G has of course been a familiar shape since 1979, and this year marks the ultimate off-road vehicle’s 40th anniversary. The next generation introduced in 2018 has been revised in almost every conceivable detail, yet it still remains true to the G spirit. Mercedes-Benz genuine spare parts: Genuine spare parts are another serial winner at the Motor Klassik Awards. This year’s victory in the “Best Brand” segment marks the sixth title in a row in this category. In total, the genuine spare parts bearing the star have already taken first place nine times. This year, they win at 48.9 per cent. The gap to the runner-up is slightly more than 8 percentage points – a clear outcome. Since 2012, specialist magazine “Motor Klassik” has called on its readers to vote on vehicles and other categories in the classic and automotive sectors. This year, 16,333 readers participated in the Motor Klassik Awards online and by postcard. Voting took place in the 2019 January and February issues of the magazine. *The stated figures were determined based on the prescribed measuring process. These are the NEDC CO2 figures based on Art. 2, No. 1 of Implementing Regulation (EU) 2017/1153. The fuel consumption figures were calculated based on these figures.